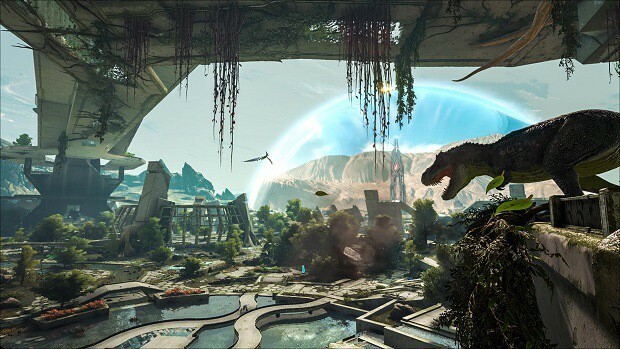 With ARK Extinction for the fans, there is a tonne to uncover, collect, and utilize. 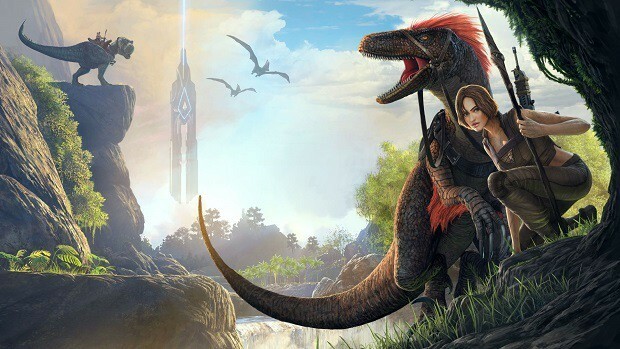 ARK Extinction has new resources that players can make use of. 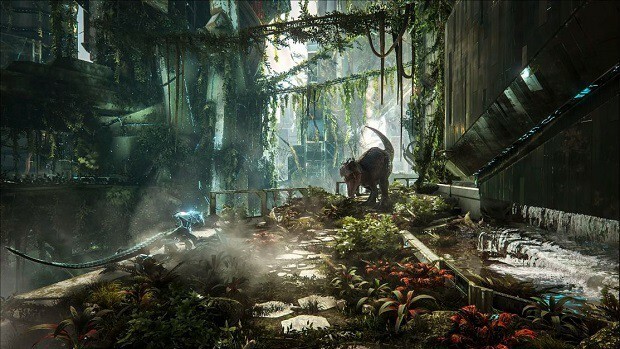 In our Extinction Guide, we have detailed some tips about finding these resources in the game. 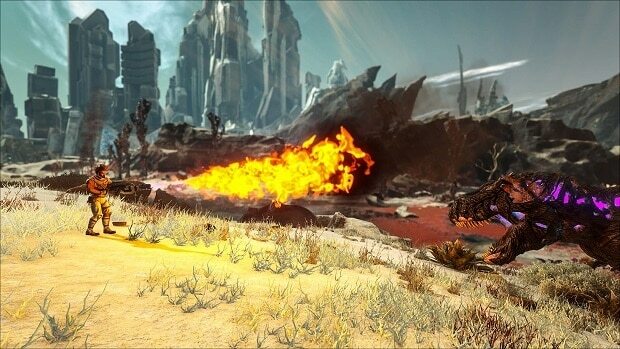 With a key emphasis on survival, you will require all the crafting materials and consumables you can in Extinction. Some new resources to make way to the game are described below! 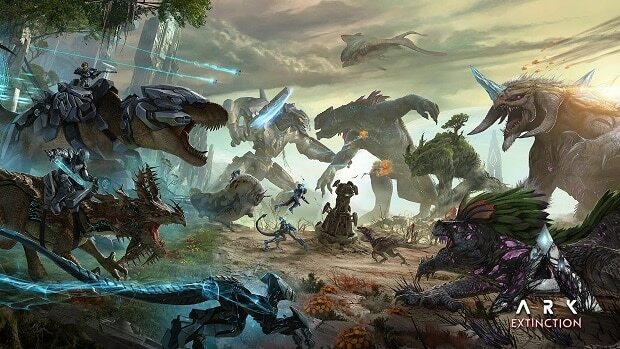 Most of these resources are gathered from different creatures and it will surely help if you can *tame some of these dinosaurs*. They can act as substitutes for Blue Gems. And can be obtained in the outskirts of the City, from the white leaved trees. A hardened material that can be turned back to its original, purified form. This resource is gathered mostly from the Corrupted Creatures, however, there is no guarantee. This is similar to and can act as a substitute for Standard Polymer and Organic Polymer. It has some good strength and is detrimental to a human’s health if consumed. Acquiring this resource makes use of the Dermis which works on both a tamed creature and a harvestable dead one. The resource will acquire the color of creature that you used the Taxidermy Tool on. The resource is obtained from Enforcers and can be utilized to power up the Scout. Alternatively, you can also acquire the resource from Lampposts and tables in the Great City. The Elemental Dust can be further refined into Element or Element Shards. You can find Fragmented Green Gem in Snow Biomes. The functions of this resource are yet to be revealed. The Fungal Wood can be obtained from the white leaved trees, similar to the Blue Crystallized Sap. The Fungal Wood acts as an alternative to simple Wood: It can be used in buildings. 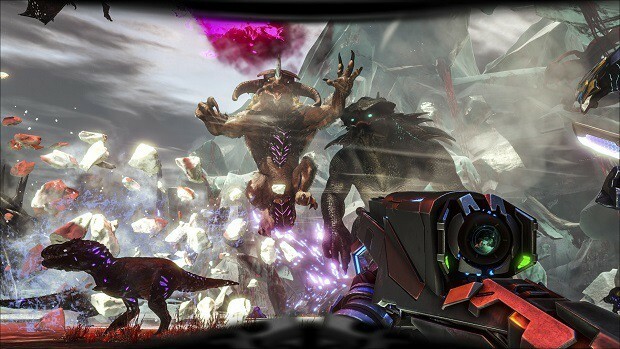 Obtained from the creature species, Gacha, these special crystals award a wide range of resources when consumed. These include Thatch, Flint, Silk, Organic Polymer, Stone, Wood, Blue Gems, Congealed Gas Balls, and even full small structures like Wooden Tree Platforms. When broken down, a thousand pieces of Elemental Dust are obtained. Found in City Terminals, the Unstable Elemental Shards will turn into Standard Elemental Shards after a period of two minutes. They can act as substitutes for Red Gems. These can be found in the Red Zone. Useful when you are willing to craft ingots. Scrap Metals can be refined in forges to turn them into Scrap Metal Ingots. These are used in Refining Forge and Industrial Forge where they are melting for the purpose of armor and weapon crafting. Breakdown of this resource results in Scrap Metal being obtained. The Silicates are similar to Silica Pearls in appearance and usage and can be refined into Silicon plates. 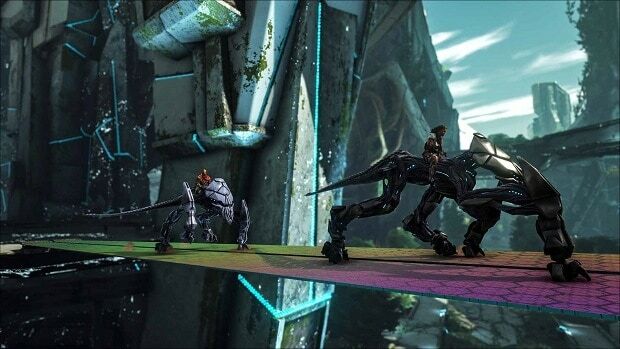 The Silicate can be used as an alternative to Silica Pearls in most of the ARK extinction items. 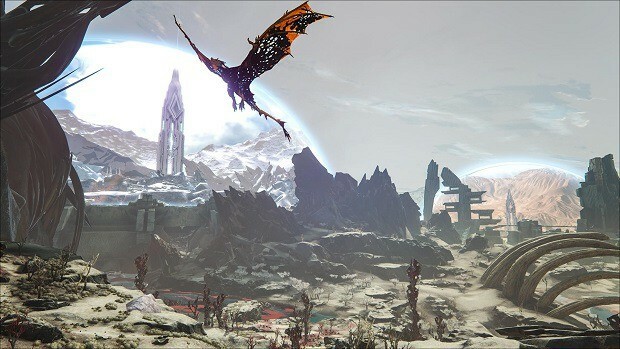 Now let us take a look at the existing materials that have made their way from the previous DLCs and the base game into Extinction. We have divided materials that spawn into specific areas of the map. Metal Nodes and Crystals are abundant here, especially across the ravines here. Moreover, there is also Cementing Paste thanks to the Beavers’ habitat here. Here, you will also find a lot of Enforcers, which when terminated, will drop Oil, Scrap Metal, Electronics and Elemental Dust. Chitin is obtained from Pulmonoscorpius, Araneo, and similar creatures. This region is scarce in resources because of the harsh climate and living conditions. On top of some of the mountains, a few Metal Nodes exist which can be mined. Pelts can be obtained from various creatures here including Mammoths and Rhinos. Although it makes for a large area geographically, the land is quite barren and thus devoid of any good resources. With that said, there are some good spots for obtaining Obsidian and Oil near the river regions. One of the safest locations on the map, there are not any dinosaurs or for that matter, any other creatures to worry about. Additionally, you can find abundant oil resources that you can utilize for producing gasoline. 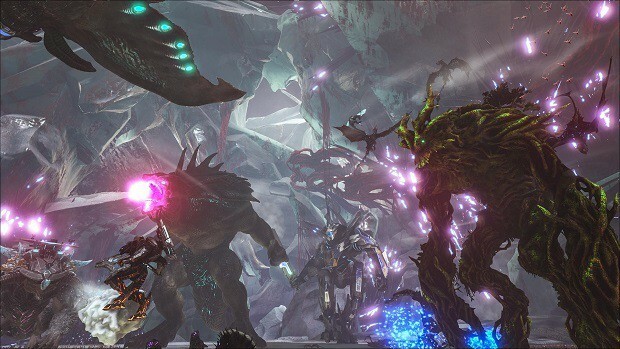 Moreover, there is Metal Nodes, Obsidian, and Red Crystallized Sap to be found within the Red Zone. There is one particular cave in the Red Zone where you can find some rare and useful resources. These include Organic Polymers, Chitin, Silk and weapons like Electric Rods from Mantis creatures. The cave is located at coordinates 87.6 Latitude and 70.3 Longitude. This is also one of those friendlier and easier locations on the map to hang out without the threat of creatures swarming in on you. There are a lot of Beavers here from which you can obtain Cementing Paste near the water bodies. You can also find Gacha Crystals from the Gacha creatures here. The rest of the map is largely devoid of any good resources. 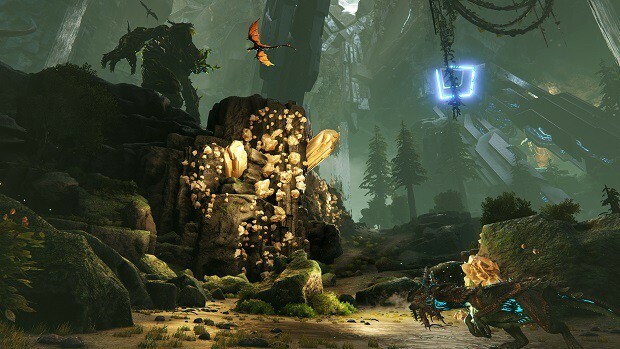 Our Extinction Resources Guide is a work in progress. We would continue to add more content in coming days.